Don't miss out on your opportunity to celebrate America and be part of the City of Moreno Valley's Fourth of July hometown parade. Community organizations, non-profits, and church groups of all sizes are encouraged to sign up to participate in this year's parade. The deadline to register is Thursday, June 8. Parade entry applications cannot be accepted after the deadline. 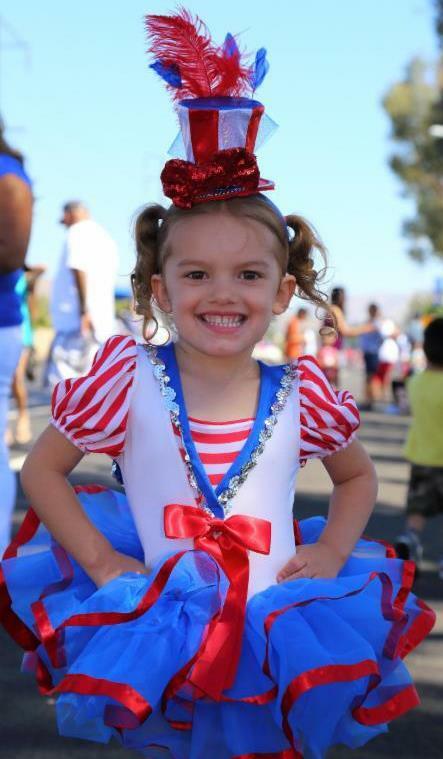 The City’s annual Fourth of July parade draws thousands of Moreno Valley residents and visitors to watch dozens of floats, community organizations, musical groups and local dignitaries make their way down the parade route. Creative entries are encouraged. 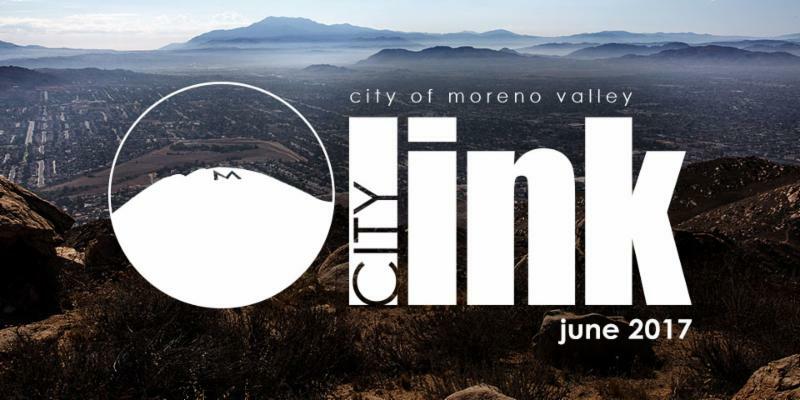 Help the City showcase the best of what Moreno Valley has to offer. Entry applications are available at the Moreno Valley Conference & Recreation Center, 14075 Frederick Street, or online at www.moval.org/fourth. The Fourth of July Parade and family FunFest are sponsored by Skechers, Waste Management, Les Schwab Tire Center, Duke Realty and The Sares-Regis Group. For more information about being part of the parade or becoming an event sponsor, please contact the Moreno Valley Parks & Community Services Department at 951.413.3280. 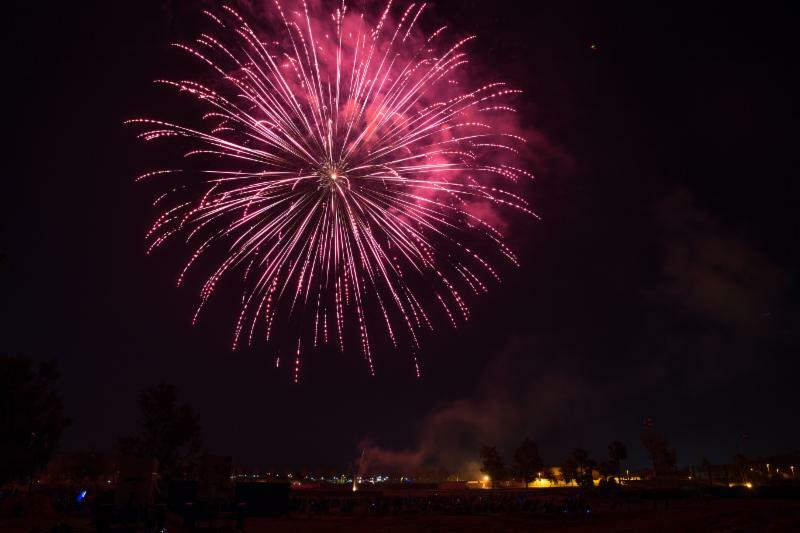 The Moreno Valley Fire Department reminds residents and visitors that personal use of fireworks is illegal. You may not sell, purchase, transport, store, or use fireworks in the City of Moreno Valley or in Riverside County. To report the use of illegal fireworks please call: 951-247-8700 or 1-800-950-2444. Looking for a safe environment to enjoy fireworks with your loved ones? Please visit www.moval.org/fourth for details regarding the City of Moreno Valley’s Fourth of July Fun Fest and Parade. Southern California's beautiful beaches and sparkling pools are part of what make it one of the most desirable places in the country to live, work and play year round. But, water comes with the potential for great danger. Things like unattended tubs and buckets filled with shallow water are not often thought of as drowning dangers. But they should be. The reality is that children, and even adults, can slip under the water silently and without much commotion . Even more frightening, drownings can sometimes occur even with a house full of adults and children. The majority of drownings occur in residential swimming pools and spas. The Moreno Valley Fire Department encourages you and your loved ones to learn the ABC’s of pool safety. They could help prevent these tragedies. “ A ” is for Adult Supervision: It is important to have an adult who knows how to swim carefully watch any water activity. Having more than one person available who can swim is always encouraged. Always keep a phone nearby to call 9-1-1. “ B ” is for Barriers: In addition to adult supervision, you should install and maintain proper fencing around the pool and spa to isolate swimming areas from other areas of the home. Use multiple layers of protection including fences, gate/door alarms, and pool safety covers. “ C ” is for Classes: Swimming lessons, first aid, and CPR classes can help you be better prepared in the event of an emergency. 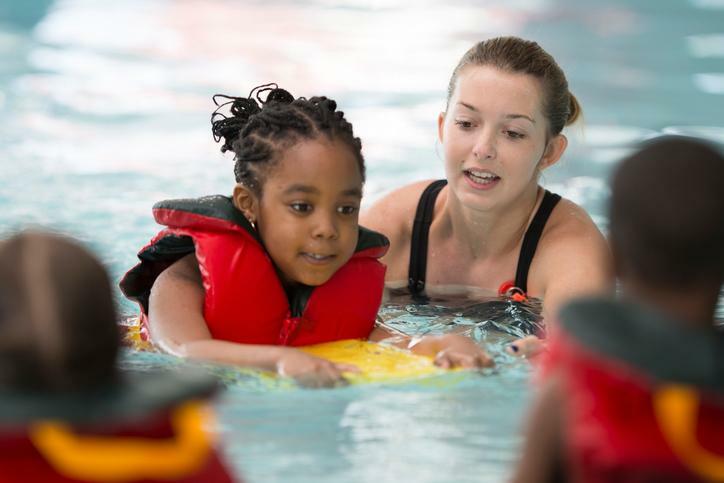 Do not rely on swimming aids like water wings, rafts or noodles for safety. Inform your children the dangers of improper water play and set guidelines and safety rules. Always keep a phone nearby to call 9-1-1. 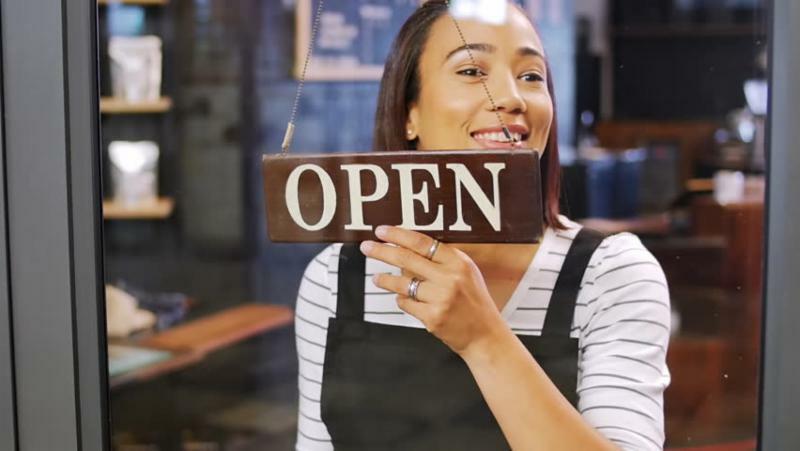 The City of Moreno Valley is partnering with the U.S. Small Business Administration (SBA) to host a series of workshops to benefit local businesses. The first workshop will be held on June 22. This workshop will help Moreno Valley businesses stay ahead of the competition and reach their profit and performance goals. It will feature a meet and greet with representatives from the SBA, the Inland Empire Small Business Development Center (SBDC), the Inland Empire Women’s Business Center and Inland Empire SCORE. Get answers to questions about your business’ specific needs in this interactive setting. For jobseekers, the City also offers monthly workshops on improving your resume writing and interview skills. 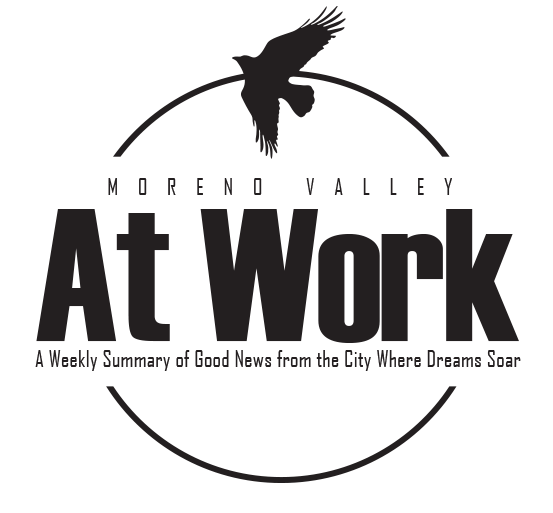 All are conducted at the Moreno Valley Employment Resource Center through the Hire MoVal program. For more information about the Hire MoVal program, please contact the Economic Development Department at 951.413.3460 or email hiremoval@moval.org. Join the Hire MoVal Job Seekers' List today! Summer is quickly approaching along with rising temperatures. Heat related illness and deaths are highly common, but can usually be prevented. People suffer heat-related illness when their bodies are unable to compensate and properly cool themselves. The body normally cools itself by sweating. But under some conditions, sweating isn't enough. In such cases, a person's body temperature rises rapidly. Very high body temperatures may damage the brain or other vital organs. Since heat-related deaths are preventable, people need to be aware of who is at greatest risk and what actions can be taken to prevent a heat-related illness or death. The elderly, the very young, and people with mental illness and chronic diseases are at highest risk. However, even young and healthy individuals can succumb to heat if they participate in strenuous physical activities during hot weather. Air-conditioning is the number one protective factor against heat-related illness and death. 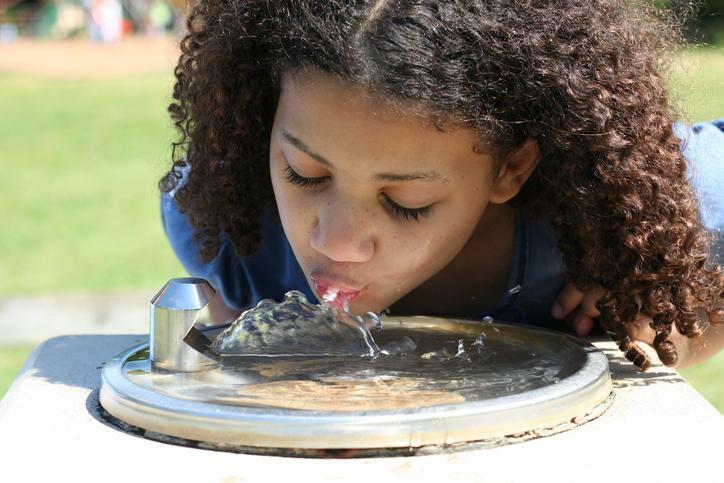 If a home is not air-conditioned, people can reduce their risk for heat-related illness by spending time in public facilities that are air-conditioned. Drink more fluids (nonalcoholic) regardless of your activity level. 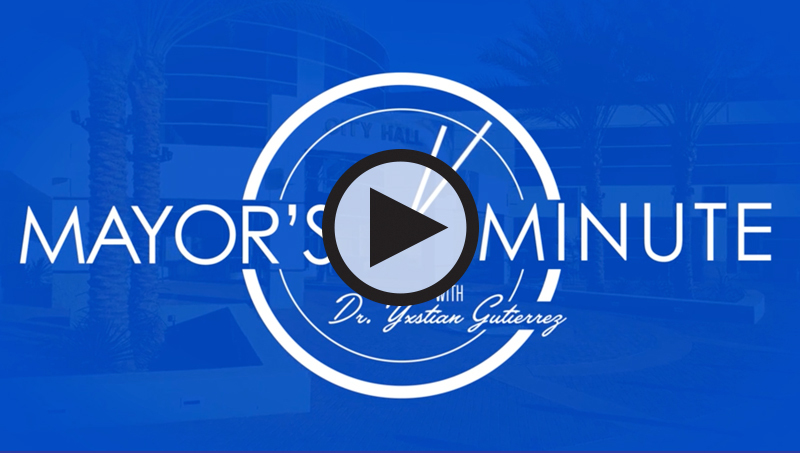 Do not wait until you are thirsty to replenish fluids. Do not drink alcohol or liquids with large amounts of sugar as these actually cause you to lose more body fluid. Avoid very cold drinks as they can cause stomach cramps. Stay indoors and, if at all possible, stay in an air-conditioned place. If your home does not have air conditioning, go to places such as the mall or public library. Even a few hours spent in air conditioning can help your body stay cooler when you return to the heat. An “Excessive Heat Warning” is issued when the heat index or real temperature is expected to reach 110 degrees or more in our area. Call your local health department or visit the Riverside County website for a map of the nearest heat-relief shelters. The Moreno Valley Public Library and the Moreno Valley Senior Center are both cooling centers. For more information, please call the Office of Emergency Management at 951.413.3800. Considering adding a cat or dog to your family? Thursday, June 15 10 a.m. – 5:30 p.m.
Friday, June 16 10 a.m. - 5:30 p.m.
Saturday, June 17 10 a.m. - 3:30 p.m. The adoption fee includes spay or neuter surgery, vaccines, and a HomeAgain microchip. Pets adopted that have not been altered will stay for surgery and be available to go home on the afternoon of the day surgery is scheduled. Don't miss out on this incredible opportunity to provide a dog or cat a forever home!